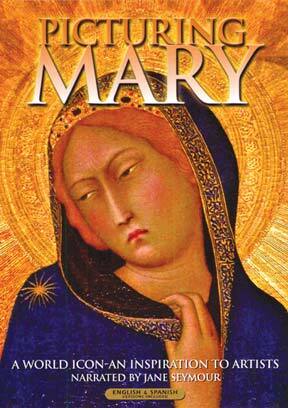 Mary was with Jesus from birth to death. Though there are few mentions of her in the New Testament, she is one of the most portrayed faces in history. She has inspired some of the finest and most enduring achievements in painting, sculpture, architecture, poetry and music. Narrated by Jane Seymour with dramatic readings by James Deach, this moving program takes viewers on an artistic journey spanning almost two thousand years and crossing four continents. Picturing Mary visits museums, chapels and cathedrals in eight countries to view rare and sacred masterpieces by such artists as Michelangelo, Rembrandt, Caravaggio, and Duccio in their original locations. From tiny personal images to giant mosaics and frescoes, these treasured artworks show how artists have expressed their personal devotion, and are an enduring testament to Mary as the sublime embodiment of the virtues, joys and sorrows of the human race.